Why Should You Buy Used Nissan Vehicles Near Metairie, LA? At some point, you’re going to need to make a shopping trip to the dealership for a vehicle. You need something reliable and that has helpful qualities and features. You may think that new cars are the way to go, but it makes a lot of sense to buy used Nissan vehicles near Metairie, LA. In some situations, it may benefit you even more to go with a pre-owned model than something fresh off the factory floor. While a new car may have some entertainment options and interior comforts that you can’t find with pre-owned models, if your decision comes down to finances, your decision should be a no-brainer. Used Nissan vehicles only a few years old could cost as much as 50 percent less than new counterparts. Translate this to monthly payments, and you can keep more of your hard-earned cash in your pocket. Look at your budget: If you don’t think you can afford payments on a new vehicle, a comparable used model could do the trick. One of the criticisms and concerns of owning a new car is the depreciation factor. New cars will lose up to 20 percent of their value from the moment you leave the dealership near Metairie, LA, and head home. When you buy a used model, it won’t continue to lose value at this rate. It’s possible to sell your used car in a few years and break even — or possibly make some money on the sale. Not only will you pay less per month for used Nissan vehicles, but you won’t have to pay as much in other areas. Registration fees are cheaper for used cars, plus other dealership fees are lower. Most insurance companies will charge less on monthly premiums when you drive something used. If you worry about a used car because it won’t be reliable as you drive in and near Metairie, LA, you can breathe a sigh of relief. Many dealerships have certified pre-owned models. Qualified mechanics thoroughly inspect these vehicles to ensure they are in good condition. You can even purchase an extended warranty on these cars. There are many choices for used Nissan vehicles near Metairie, LA. 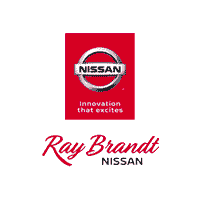 When you decide that pre-owned models are your best choice, come to Ray Brandt Nissan.